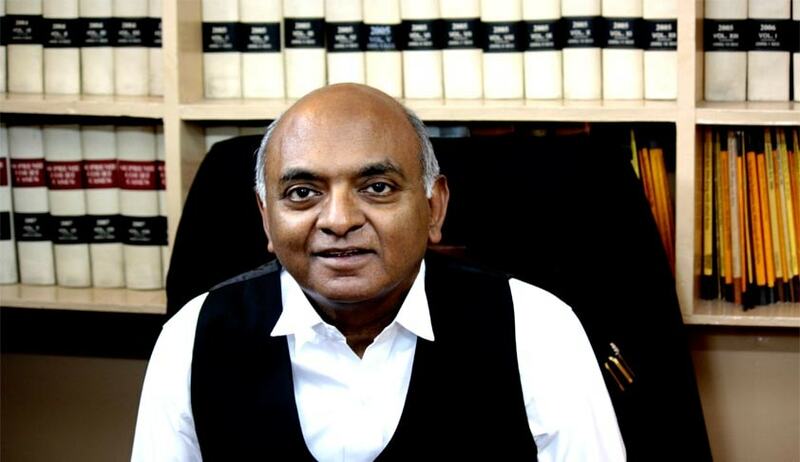 Senior Advocate Raju Ramachandran, one of the amicus curiae in Nirbhaya case, has submitted before a three-judge Supreme Court bench hearing appeals by death row convicts that both the high court and trial court grossly erred in imposing death penalty to the accused without considering the circumstances relating to the criminals. In the first part of his written submissions, he had submitted that the order on sentence passed by the trial court on 11.9.2013 and confirmed by the high court, ought to be set aside for violating the fundamental norms of sentencing, constitutionally ingrained, statutorily reflected and judicially interpreted by the apex court. Before the bench comprising Justice Dipak Mishra, Justice Ashok Bhushan and Justice Bhanumati, he submitted that lack of proper inquiry, application of mind and consequent lack of reasons in individualising the sentencing process, adversely affected the substantive reasons for the award of death penalty to all the four accused. In Part-II of his written submissions, he stressed on the importance of considering the factors relating to criminals while awarding death sentence. He pointed out that the Supreme Court in the locus classicus on the subject Bachan Singh v. State of Punjab categorically held that (1) extreme penalty can be inflicted only in gravest cases of extreme culpability; and (2) in making the choice of the sentence, in addition to the circumstances of the offence, due regard must be paid to the circumstances of the offender also. According to him in Swamy Shradhananda (2) v. State of Karnataka, the apex court, while pointing out the lack of uniformity in the sentencing process, opined that the scope for imposition of death penalty, which was restricted in Bachan Singh, has been considerably enlarged by enunciation of categories in Machhi Singh. He highlighted the importance of crime test, criminal test and rarest of rare test with the help of recent judgments. He submitted that while the aggravating circumstances, are a matter of trial, evidence and conviction, where adequate opportunity is given to the prosecution to prove the guilt and attendant circumstances, the mitigating circumstances are being enlisted and evaluated within a day of the conviction, and without due regard to the factors of the criminal, which can come on record only when material is taken on record. In other words, the prosecution’s argument on aggravating circumstances gets buttressed by material on record, while the plea of mitigating circumstances rests solely on arguments. The resultant imbalance is a serious violation of the doctrine of fairness and reasonableness enshrined in Article 14 of the Constitution of India. He also submitted that if the enumeration and evaluation of mitigating factors were left only to those which are argued by the accused or his counsel, and the court does not accord a principle-based treatment, the imposition of death penalty will be rendered the norm and not the exception. In other words, the option of life imprisonment will depend on capacity of the accused and the wisdom of counsel. That is an inversion of the Bachan Singh logic, and a serious violation of Article 21 of the Constitution of India.